In my opinion, everyone should know how to make a rocket stove. 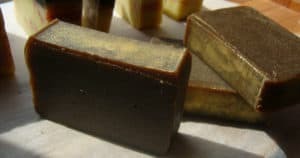 They are incredibly easy to make, can be made out of a variety of found materials, and a rocket stove could save your life in a survival situation! Fuel is burned in a chamber which has an insulated, internal vertical chimneys. The internal chimney means a strong draft is made so the fuel is vigorously combusted. The J-shaped design of a rocket stove ensures that the fuel is almost completely combusted before the flame reaches your cooking pots or pans. The result is that you get to burn a small amount of fuel and extract the most possible heat from it and the exhaust gases. You need good airflow to the firebox; adding an extra hole will great improve airflow and combustion! 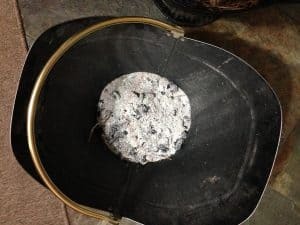 This rocket stove design is incredibly basic and could be used in situations like a power outage. However, I would NOT recommend this rocket stove for long-term use. As you can see, the tin can isn’t insulated in any way, so you will lose a lot of heat. 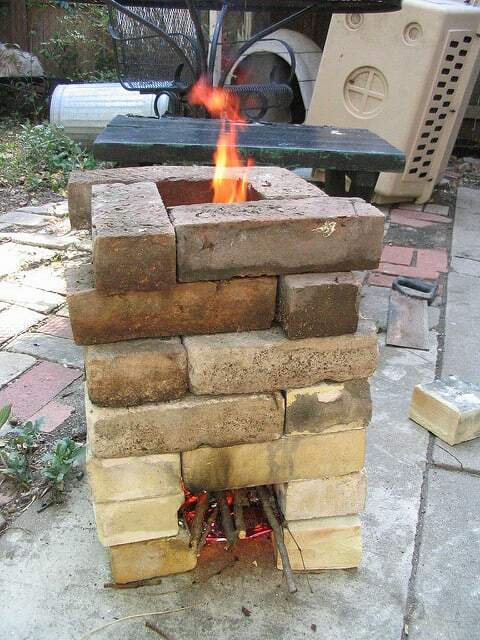 This rocket stove design is a major improvement over the previous one. 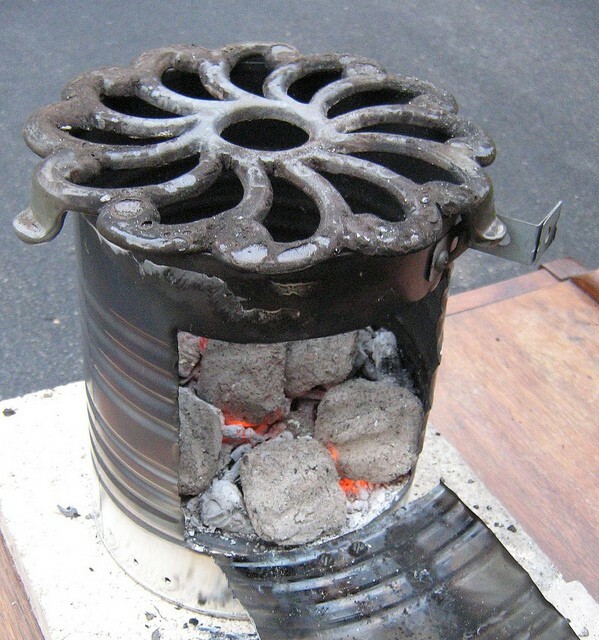 The design means that the rocket stove can be insulated for better efficiency. To make the rocket stove, you need a large coffee can and a J-shaped pipe or two soup cans cup and placed together to make a J-shape. Cut the coffee can so you can fit the pipe inside it. Fill the empty space with vermiculite, rockets, etc. 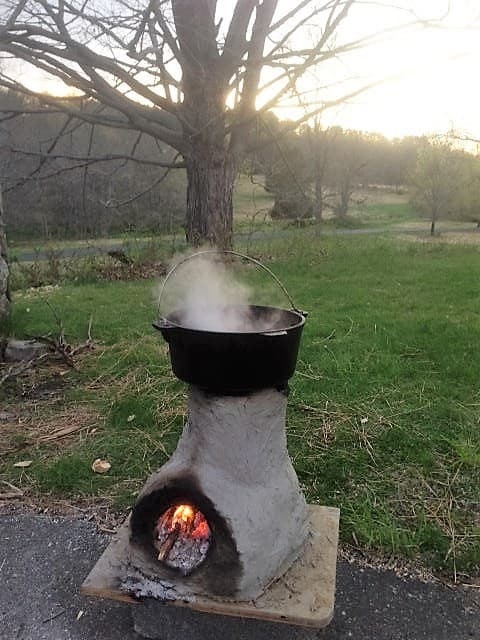 Why is this rocket stove design so great? Note the small holes around the base of the barrel (burn tube). 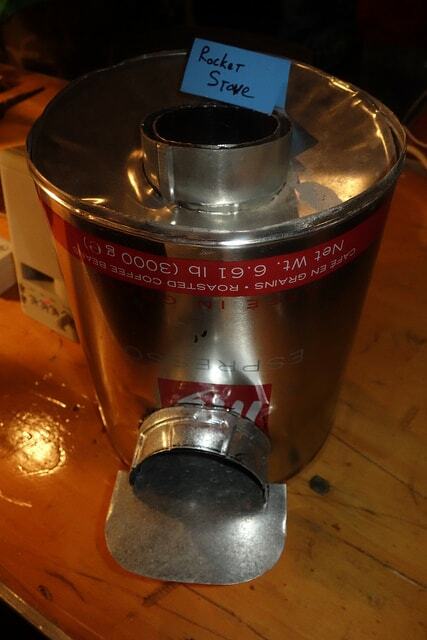 This improves air flow and increases combustion, making the rocket stove burn even more efficiently. 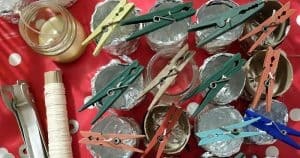 This design shows you how easy it is to make a rocket stove out of found materials. Just stick a pipe in the bottom of the brick construction to serve as your “fuel tube.” You’ll lose some heat through the gaps in the bricks, but they will also help with air flow. 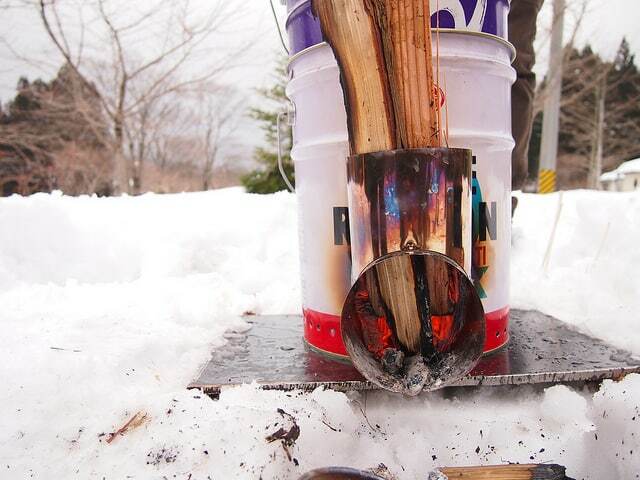 You can easily construct a clay rocket stove in any size. 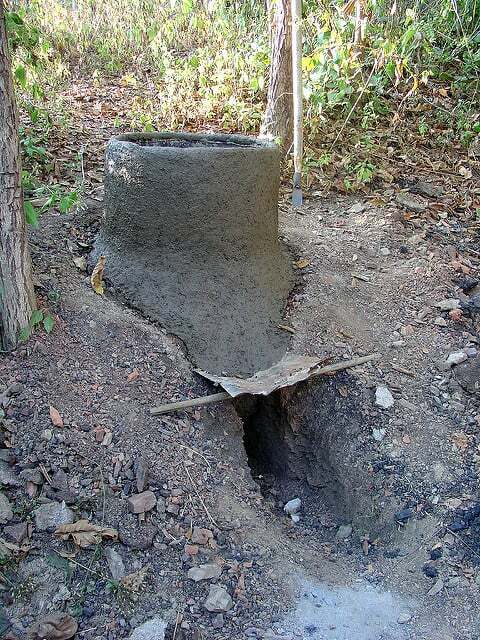 The clay is a natural insulator so the rocket stove design is very efficient. Just be warned that you’ve got to build the rocket stove in layers so it won’t collapse, or use some wires to make a frame for it. You’ll also want it to be dry before using it. Don’t have any clay? 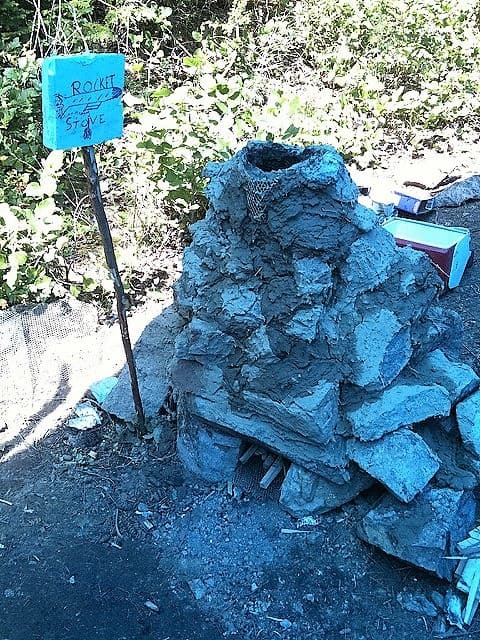 Just use mud and rocks to build up your rocket stove. It looks primitive, but it works very well. Note the extra hole at the bottom right of the rocket stove. This design element helps improve air flow and combustion. When you are making a rocket stove this big, you’ll want to add that extra hole! This rocket stove design is based on the Dakota Fire Hole. I love how they used a combination of mud and dry grass to build up the stove. 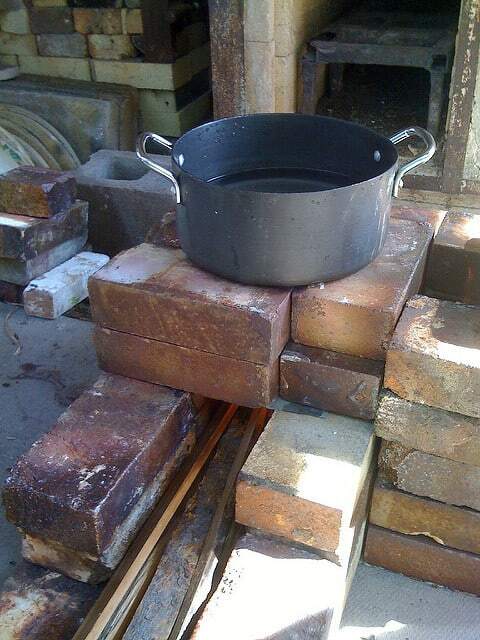 This is actually how bricks used to be made and is very strong! Note that the fuel hole is very tall here. As mentioned above, air flow can be a problem with large rocket stoves. You’ll either need to add a side hole or make the fuel hole larger. Want to bake bread, pizza, or other things? 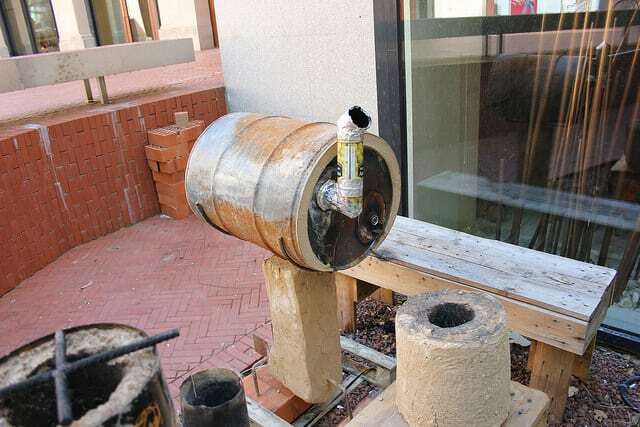 Here is a great rocket oven design exactly for that purpose. The rocket oven is made from various found objects including bricks, clay, and a barrel. Rocket stoves burn fuel very efficiently, so there is little smoke and risk of carbon monoxide poisoning. 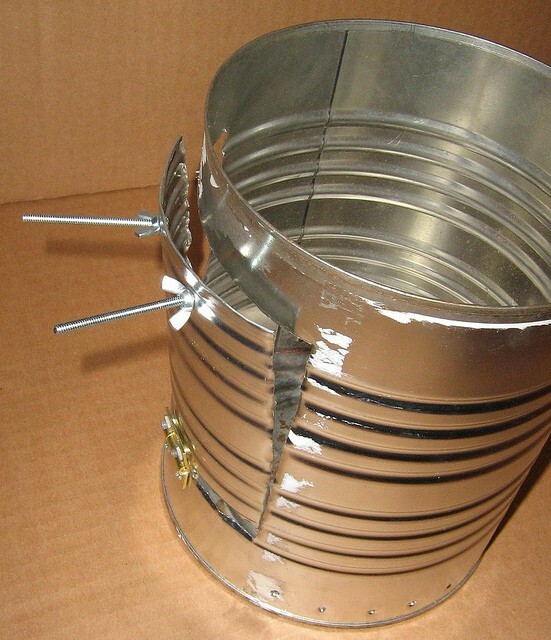 However, you still need to be VERY careful when using a rocket stove indoors. According to WHO, more than 4 million people die each year because of indoor smoke inhalation. A geo-ecologist named Dr. N. Sai Bhaskar Reddy has made it his mission to improve stove designs and prevent poisoning. 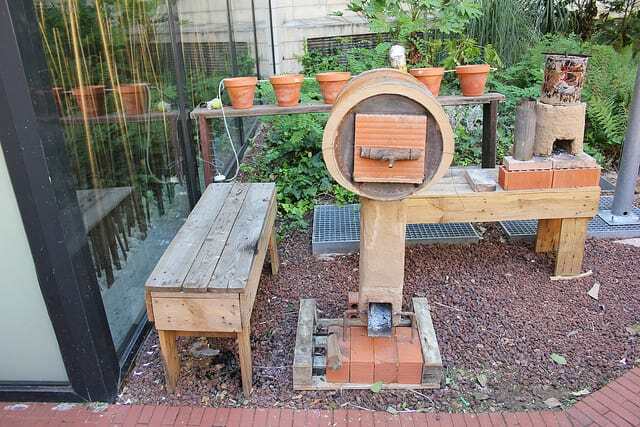 This rocket stove is based on one of his designs. You can’t see it very well in the picture, but the rocket stove has an additional hole to the right. This extra air chamber improves combustion and decreases the amount of gases produced. You can see diagrams of the rocket stove design here. 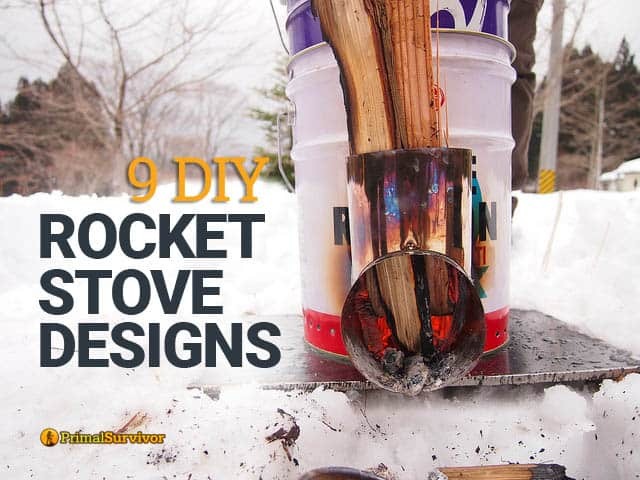 Have you ever tried making a rocket stove? 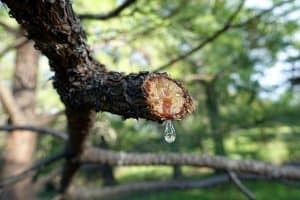 How long did it take you to boil water with it?